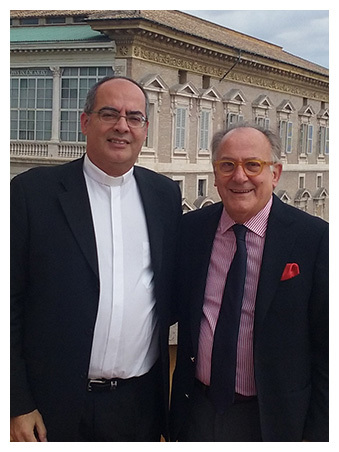 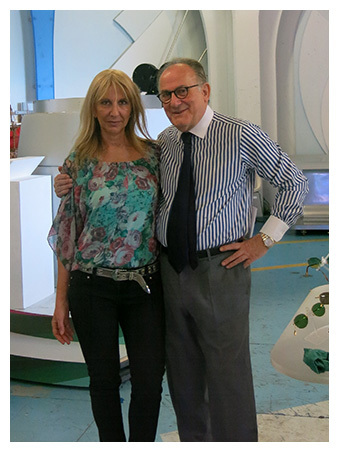 Ottica Spiezia was founded in 1967, the sales point is led by Alessandro Spiezia and his son Luca. 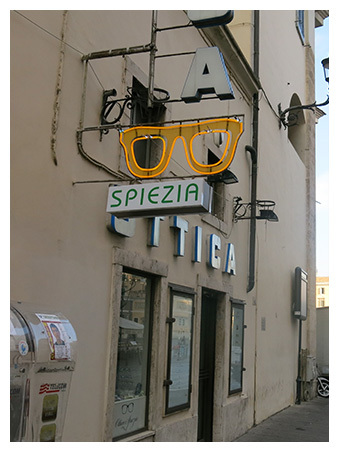 An 8 square meter shop near Piazza del Popolo, built in 1921 and managed by the Spiezia family for about 50 years, with the aim of providing the best possible service to its customer, thanks to the quality of the products it sells. 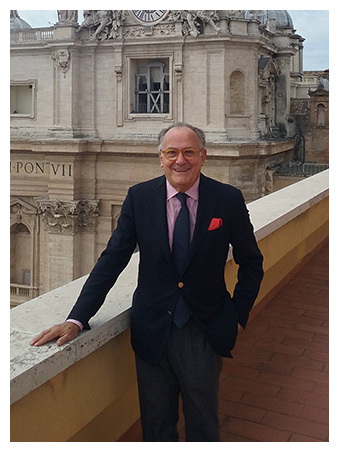 Located precisely in Via del Babuino 199, it was and still is a reference point for many famous people who decide to rely on Alexander and Luke to find the frame that best suits their person. 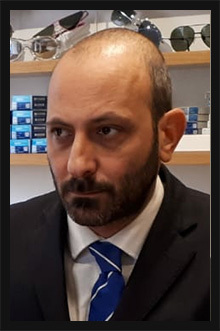 Professionalism and passion for their work, but – above all – for their customers: this guarantees a totally positive experience within the store. 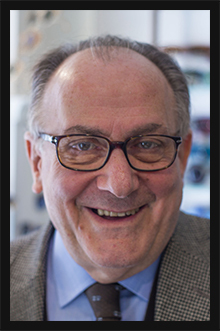 One of the greatest honors of which Ottica Spiezia boasts is that of having created many glasses for the Popes, since the time of Wojtyla. 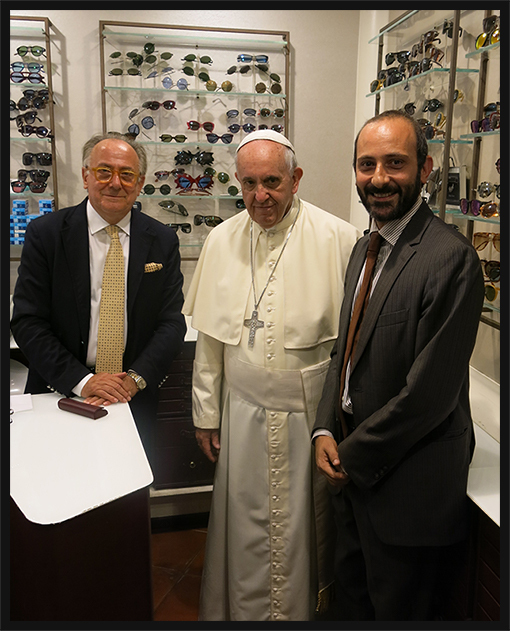 It was exciting for Alessandro and Luca to receive the visit of Pope Francesco in his sales point, which had to update the diopter park. 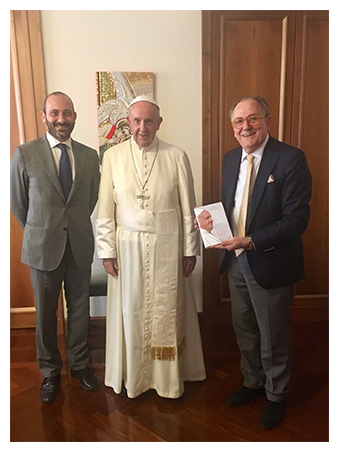 Alessandro has always gone personally to the Vatican, but the arrival of Pope Francesco, in the store maintained over time with so much love and devotion, was an unforgettable surprise that still remember with joy and happiness. 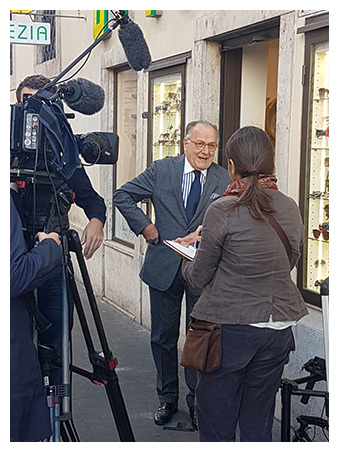 Ottica Spiezia in addition to the Popes, had the honor to sell their products to other famous people: Francis Ford Coppola, and then again Monicelli and Magni, or the then US President Bill Clinton, up to Marcello Mastroianni and to the actress Lucia Bosè.